MUHAMAD, Rusnah; ALFAN, Ervina; ABDULLAH, Mazni. Editorial Note. 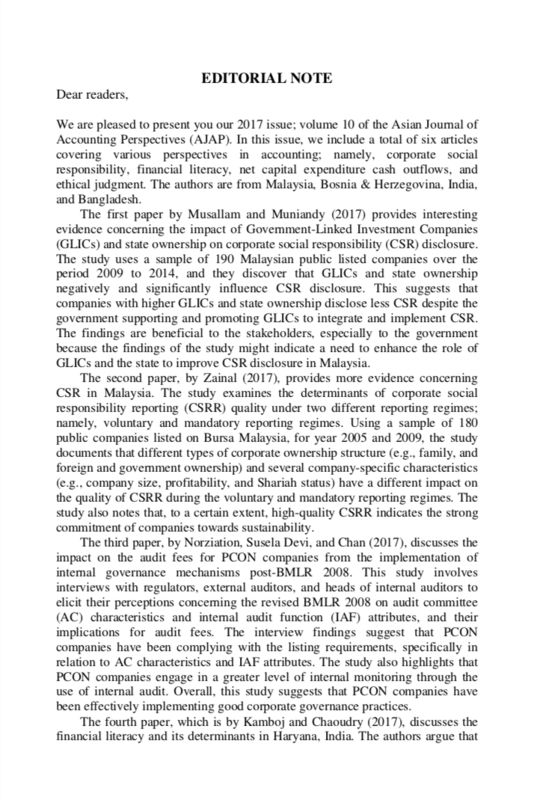 Asian Journal of Accounting Perspectives, [S.l. ], v. 10, n. 1, dec. 2017. ISSN 0128-0384. Available at: <https://ajap.um.edu.my/article/view/11284>. Date accessed: 20 apr. 2019.